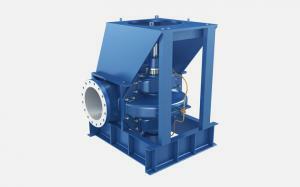 It is suitable for fire fighting, equipment cooling, and sea water desalinization. It can also be used as the heat pump air conditioning of the ground source in the coastal area, the use of all sea water upgrading, the waterfront square fountain landscape, the seawater cultivation and other uses. 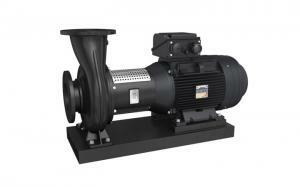 The equipment has low noise and high efficiency. 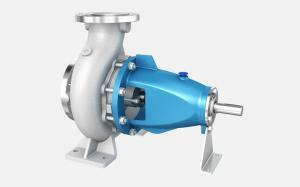 Its impeller adopts back-to-back installation, simple structure, high efficiency and energy saving. 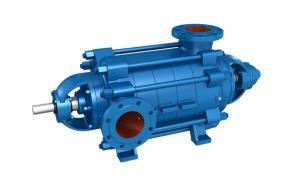 The existing products can handle 500 tons and 1000 tons of water daily, and the pressure can reach 72 bar. Efficient, energy saving, simple structure, high reliability, light, and convenient maintenance. Reverse osmosis system, high-pressure flushing system, water supply system, seawater desalination reverse osmosis system, water treatment ultrafiltration system, and boosting system. Corrosion as the biggest problem encountered , stainless steel structure is widely used in sea water desalination, oil and gas, chemistry, heat and nuclear power plants. 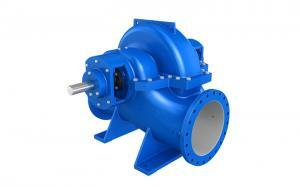 Chemicals will promote corrosive steel and copper alloys, especially for high flow rates. 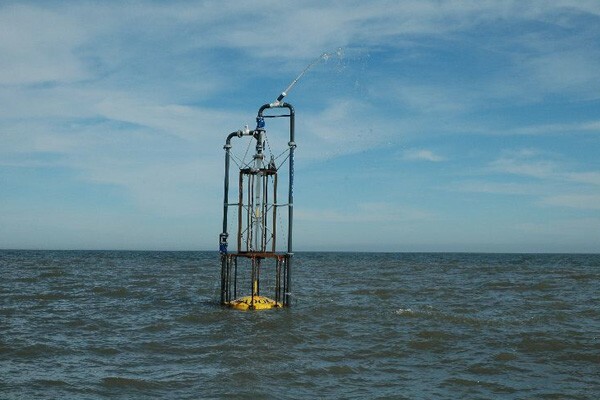 The high conductivity of seawater, promotes the macroscopic battery corrosion, such as the electrode electric corrosion and differential aeration cell corrosion, including the difference - flow rate cell corrosion. If you can't protect your seawater, water pump corrosion, they will corrode and damage the equipment, and in very short time, leading to shutdown or critical safety issues. Previous experiences have been able to address these different corrosion problems, including corrosion tests, in the high seas around Japan, in the Arabian gulf, the red sea and other seawater environments. Stainless steel, is the most widely used material in marine sea water pump, sensitive crevice corrosion, and needs effective countermeasures. Countermeasures can be divided into two methods. One approach is to use relative economic materials such as 316 SS; another approach is to use highly corrosion-resistant materials such as super double phases. The former includes the cracks used in the packing, the surface and the application of cathodic protection. Selection of materials should consider about cost, maintenance and lifetime. 1. 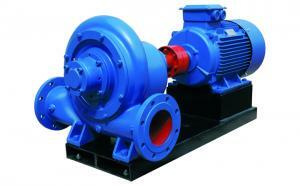 When the electric sea water pump is directly connected to the motor, it should pay attention to the coaxial degree of the output of the electric sea water pump shaft and motor. 2. The pump coupling must be solid with nut, and lock the nut to prevent the nut from loosening, otherwise, it will cause the impeller to move and cause mechanical failure. 3. In order to maintain a certain storage fluid in the pump to achieve better self-absorption capacity and prevent mechanical seal dry friction, the pump must be imported higher than the center line of the pump shaft. A. suction installation height can't more than 5 meters, when conditions permit, suction installation height should be as far as possible below the lowest water pool plane, and try to shorten the length of the suction pipe, short-ship elbow, it is beneficial to shorten the self-priming time, improve the function of self-priming. B. the valves and flanges in the suction pipeline should be strictly kept out of the air or leaking liquid, which is not allowed to exist in the suction line. 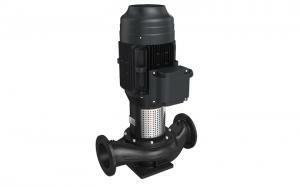 C. we should prevent the pump body from inhaling solid and other debris, the suction tube should set up a filter. The effective water area of the filter shall be 2-3 times the area of the suction pipe, and the filter shall be inspected regularly. D. the suction pipe and spit pipe shall have their own stents. 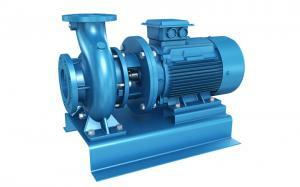 The pump body shall not be allowed to bear the load of the pipe. 5. 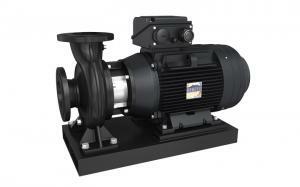 When the pump is installed, the electrostatic grounding resistance of the pump and the pipe shall meet its requirements. 6. 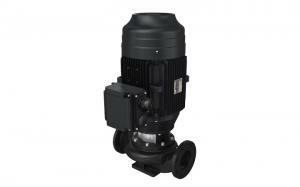 When installing, we should check the pump shell and the material in the pipeline. 7. The installation clearance and coaxiality of the pump coupling and electric motor coupling are adjusted, and the deviation of the uncoaxial tolerance is 0.1 mm. 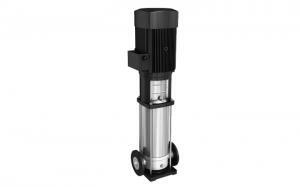 The height of the pump shaft and motor shaft can be adjusted on the bottom of the foot with brass or tin. 8. After the actual operation of the unit 3 to 4 hours, the final inspection shall be made. If there is no undesirable phenomenon, the main installation has been completed and the shaft should be checked in the test operation. 9. The pump bearing body has a cooling water joint for cooling water joint for 12 pipe or plastic pipe, and its thread size is M12x1.75. 10. If the pump is equipped with a one-way valve on the outlet pipe of the pump, the exhaust pipe and the valve shall be added at the outlet of the pump when the pump is not able to discharge the gas smoothly.